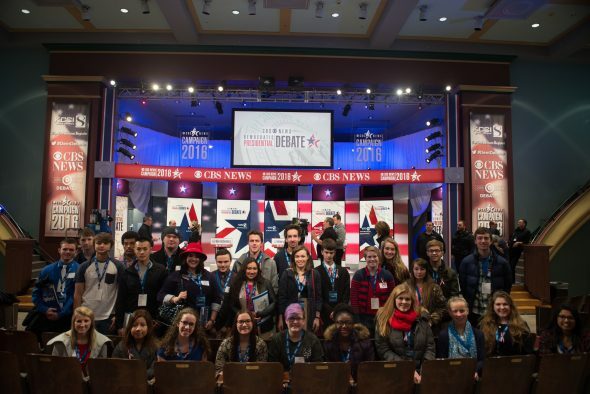 A group of high school students with an interest in politics visited the set of a CBS News nationally televised presidential candidate debate in November 2015. This month, Seventeen magazine said Drake is one of the coolest schools in America due to its breadth of political opportunities. 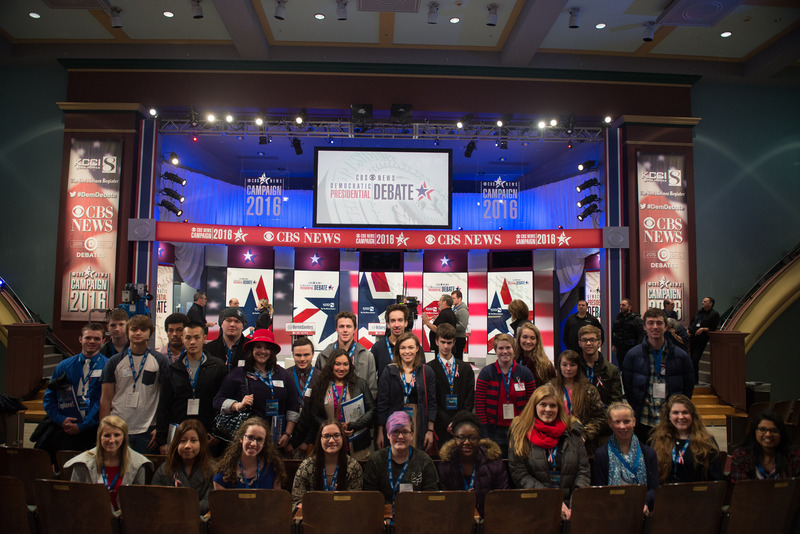 What do you call a university where students attend presidential inaugurations, work behind-the-scenes for nationally televised debates, and network with alumni who work for national news outlets? One of the coolest places to go to college, according to Seventeen magazine. The teen-focused publication included Drake University in its feature story “Cool Schools 2018,” which appears in the March/April print issue (on newsstands today). A group of young political junkies poses near an oversized hashtag placed on Drake University’s lawn by Twitter, which co-sponsored the November 2015 presidential candidate debate at Drake. But the political buzz doesn’t begin and end with Iowa’s first-in-the-nation caucuses. 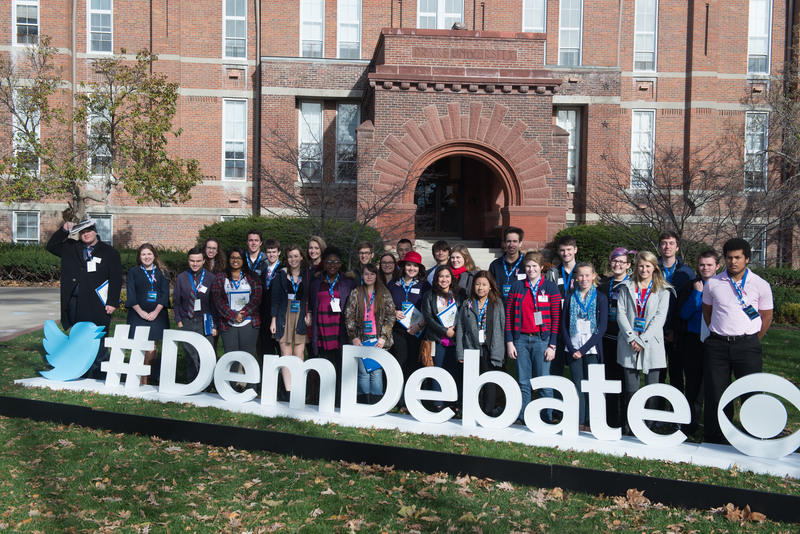 In each student’s four years at Drake, they have a front-row seat for the caucuses, a vibrant mid-term election experience, and a presidential election—each bringing its own set of experiential opportunities. Though Caufield says she meets more presidential candidates in Iowa than she ever did in D.C., the nation’s capital is readily accessible for students who want to spend time there. During a recent class trip to Washington, D.C., students watched as Donald Trump was sworn in as the 45th President of the United States, met notable Drake alumni—including a U.S. Representative and a then-writer for The Atlantic—and visited the U.S. Supreme Court. Students who are interested in spending more time in D.C. can apply for financial assistance from The Harkin Institute for Public Policy and Citizen Engagement at Drake University, which offers summer internship support through its Harkin Institute D.C. Experience Scholarship. In the classroom, students can major in political science; strategic political communications; international relations; law, politics, and society; and other fields that provide exceptional preparation for meaningful careers and responsible global citizenship.